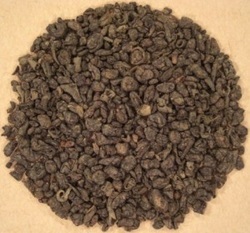 Ancient Chinese Gunpowder, in granule form. Ever since science and technology became a part of people’s everyday lives, it has affected them in both positive and negative ways. Discoveries such as gunpowder and printing had major effects on the ways in which people lived their lives and fought in battles.Gunpowder was created in the 9th century by chemists in China, who were combining ingredients while trying to look for a brew to extend life. It was incorporated into the military. The first weapons made with it were fire arrows and flamethrowers, and it was not until the 14th century that guns were invented. The idea of gunpowder was taken by the Mongols when they invaded China, and then brought to India when they invaded, in the 13th century. This opened up trade between India and China, and allowed for innovations using gunpowder to be spread between the two countries. India created Iron cast rockets, and also became a chief supplier of saltpeter, a main ingredient of gunpowder. Again, the spread of gunpowder was facilitated by the Mongol invasions, this time in the Middle East, in Egypt and Persia. When they were conquered by the Mongols, the invention of gunpowder was spread across the Middle East. Creations like a catapult that fired gunpowder bombs and the invention of the first cannon in Egypt were all results of the Mongol Invasion of the Middle East. European countries traded with the Middle East. From there, the Europeans improved gunpowder creation by adding water. The Europeans also used it to blast away earth, making it easier than ever to create tunnels and canals. In about 50 BCE, the printing process originated in China and was rather primitive, although it still allowed the mass production of documents. Much later, in 1041 AD, the moveable type was invented by Pi Sheng, and drastically reduced the amount of time it took to print. He exported this invention to the Western World. It then spread to India, where it was mainly used to copy religious texts. It was also exported to Europe in around 1300 AD, where it also got much use as a tool for spreading religion. A map showing the movement of gunpowder, as spread by the Mongol invasions. Ancient Chinese printing press, with moveable type. In about 50 BCE, the printing process originated in China and was rather primitive, although it still allowed the mass production of documents. Much later, in 1041 AD, the moveable type was invented by Pi Sheng, and drastically reduced the amount of time it took to print. He exported this invention to the Western World. It then spread to India, where it was mainly used to copy religious texts. It was also exported to Europe in around 1300 AD, where it also got much use as a tool for spreading religion. European inventors also continued to improve on the moveable type, making printing cheaper and faster than before.